The PDM Renewable Energy and the PDM Sustainable Food together coordinate Hub SEA’s Green Society Program. Both PDMs are tasked with ensuring communication and information exchange within the Green Society Program, with Green Society PDMs based in other regions, and between Hub SEA’s Green and Open Clusters. The PDM Sustainable Food works closely with the finance team on the design of project budgets, and with the Design, Monitoring, Evaluation and Learning (DMEL) officer on project design, implementation and reporting and knowledge management. S/he works closely with the leads of other Hivos themes and other Hivos Hub SEA staff on strategic direction, program and business development. S/he collaborates horizontally with the PDMs in other Hivos Hubs and at the Global Office to share experiences and strengthen each other’s portfolios and networks. The position is Jakarta-based with some travel for coordination meeting. Working with internal (Hub SEA colleagues, Sustainable Food colleagues in other hubs) and external stakeholders and frontrunners developing innovative ideas for new projects and programs in line with Hivos strategy. To develop strategic and long term sustainable food portfolio for Hub SEA, as well as smart business models and fundraising. To identify and access funding sources for the sustainable food program and together with the Global Office, to develop and implement a fundraising strategy to support a successful implementation of the food program. To provide input for funding proposals, communication materials etc. for stakeholders and audience, both in Hub SEA and in the Global Office. To take a lead on fundraising initiatives in close coordination with program and finance departments, including carrying the responsibility of coordinating proposal writing and submission procedures, ensuring full compliance to the financiers. To ensure that projects after contract signing are properly started up and managed well. To coordinate internal planning and report-writing of the Sustainable Food theme in Hub SEA. To ensure knowledge exchange among staff. To present Hivos’ vision on Sustainable Food in an attractive and leading way during conferences and seminars. To provide input to the financial planning, budgeting, performance, capacity development and risks management of projects. To contribute to Hub SEA’s overall organizational and policy development. An advanced university degree in a relevant field (social science, agriculture, natural resource management). At least five years of working experience in the field of sustainable food and/or agriculture. 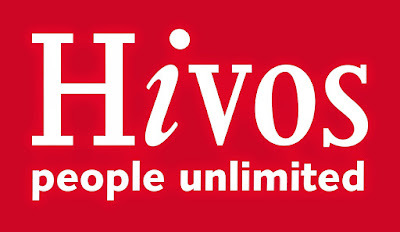 Strong affinity for Hivos’ vision and mission and for social and environmental concerns. Strong motivation to contribute towards real and lasting change. Able to ‘think out-of-the-box’ and connect to various actors (facilitating of multi-actor initiatives) to develop new solutions. Have a convincing track-record in program development and resource mobilization/fundraising. Experience with developing smart business models. A leader as well as a reliable and supportive team member. Excellent – externally oriented – communication skills, both verbally and in writing in English. Institutional: Cooperation; Influence; Conceptual skills; Persuasiveness; Decisiveness. General: Professionalism; Respect each other’s role; Accountable’ Level of initiative; Transparency. To apply for this position please submit your CV and a cover letter to hr.sea@hivos.org no later than 24th February 2019. Please specify the position name you are applying for (PDM Food – SEA) in the ‘subject’ line of your email.